There are two ways to have more money. The first is spend less and the second is earn more. A lot of what we personal finance bloggers do is trying to figure out ways to carry those out in real life. Budgets and frugality help us spend less. How do we earn more? 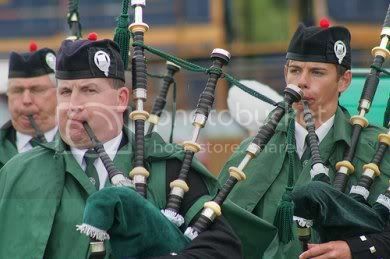 Well, I’m going to mix my metaphors a bit here…11 pipers are piping. And we all know that someone has to pay the piper. If you’re the piper, are you being paid? Ok, that was circuitous. I’ll put it better. Here are 11 steps for developing new sources of income (or “alternative income”). Figure out what you’re already doing. Do you sew baby quilts as gifts or donations? Do you love to go out in your shed and do woodworking? Are you a really good cook? 2. Decide what you can do with them. Quilter? You could sell baby quilts or give sewing lessons. Cook? You might do small-time catering or teach. Woodworking? Well, there’s teaching again, or you can take commissions for tables, dressers, and the like. Your friends will be a big help in two ways. First, they can help you brainstorm (though you don’t have to go with all their crazy ideas). Second, they can recommend you or even buy from you. I’d say most of my commissions are from people I know or friends of friends. 4. Figure out your market. Who are you selling to? Maybe you want to teach highschoolers how to do simple sewing. Or maybe you’ll market a simple alterations or repair class to working women. Your market will determine your next step. 5. Figure out how to advertise. Blog about it. Use Craigslist or the local classifieds. For teaching and tutoring, get in contact with your local homeschool network. There are often parents looking for specialty teachers to fill in where they’re lacking (curricula can be great resources, but someone learning French may need more help with pronunciation…and sewing is as much an art as a science). 6. Figure out what to charge. You’re getting paid, after all. Do you want to charge based on hours? Based on project size? What’s right for what you’re doing? Don’t sell yourself short. Some people may laugh at your rates, but maybe you didn’t want them as customers anyway. If you don’t get bites, try both higher and lower. Higher seems counter-intuitive…but sometimes people associate higher prices with higher values. Consider putting together a fee chart, if only for your personal reference. 8. Learn to market yourself. You’ve probably only been doing this for friends and for fun. Suddenly you have to sell your services, in advertising and then in person when they respond. Work out a list of your qualifications (more as a reference and reassurance for you). Practice marketing yourself to friends and family. Write out reasons why people should hire you. 9. Prepare for responses to your advertisements. So you’ve convinced yourself that you’re valid and you’re learning to market yourself. To start off, it can still help to have some prepared responses to any bites you get. Maybe an outline or an idea that you can use. You’re a beginner at marketing yourself and it’s easy to feel like a deer in the headlights. Having a prepared (but not scripted) response may help. 10. Do it right, do it great! Once you’ve landed a job or commission, do it well. Even alternative income is work. Plus, you may get repeat business or recommendations from this person. 11. Don’t sweat it. Keep trying (though not if it’s costing you a lot to try). You’re starting out and there’s no guarantee you’ll become highly successful in a week or two. Maybe business is slow or non-existent. Find new places to market yourself. Find new ways to frame what you’re doing. Consider changing things up a bit–maybe you start marketing your sewing class to men. Are you planning to develop alternative income? What steps will you be taking? The Rest of the 12 Days of Christmas! The other piece I would ad is to work your former customer and build a mailing list. Don’t be a “1 and Done sort of business.” The art of folow-up is rarely practice,but it can seperate a great business from a good one.